Torrevieja buses are one of those mysteries often pondered on by many tourists but rarely attempted. This is really a shame as they’re a cheap way of getting around most of the city’s surrounding residential areas and nearby towns. The language barrier is the main problem. Also, most visitors don’t understand the mañana mañana way of life. Nothing in Spain is set in stone. The best way to understand this laid back attitude is to just go with the flow and if you do make plans, give yourself an hour either way! With the help of our trusty friend Google Translate and a good repertoire of hand gestures, it’s not as hard as people think. Start by writing or storing in your phone a few simple phrases. I find whenever engaging a Spaniard in conversation, a phrase that opens doors is (disculpe, mi Español es limitado). This roughly translates to excuse me my Spanish is limited. The Spanish appreciate it when foreigners at least try to learn a few words and you will notice how much more receptive they are to you. When tackling the Torrevieja buses write down a few Spanish phrases. Things like do you have a timetable. Where is the bus stop. Does it return here. Where is the stop for the return journey and can you please tell me when we are at my stop. 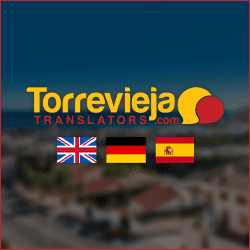 If you are not familiar with Torrevieja city then the best place to start and end your journeys is at the main bus terminus. The main bus terminus is located in the centre of the city on Avenida de las Habaneras. This is close to Mercadona Supermarket. The terminus has a large cafe serving snacks, meals, soft and alcoholic drinks. Prices are pretty reasonable considering it is the main city terminal. There are counters where you can get printed bus schedules and pay for your ticket. It is also possible to pay on the bus. 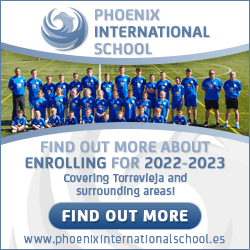 The important thing to remember is, the main bus stop for local Torrevieja buses is just outside the gates on Avenida de las Habaneras. The inside of the terminal is mainly used for coaches travelling further afield. 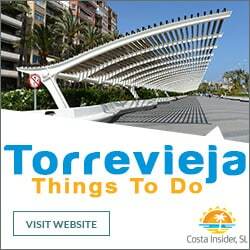 Nearly all local Torrevieja buses start and end the journey from here. (The exception being route F/D to Rocio del Mar). This area is more well known as Punta Prima and the stop is located inside the terminal at bay 6. Located just outside the terminal gate, the bus stop has a small TV screen showing times of incoming buses. But remember, these are not written in stone. On the front of the buses is the route destination. If unsure of the area you are going to, remain close to the driver and ask them to tell you when they reach there. 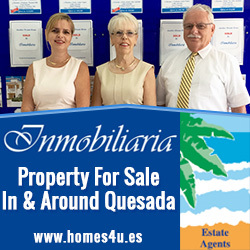 Torrevieja’s bus routes are mainly within the city and its outer lying residential areas. 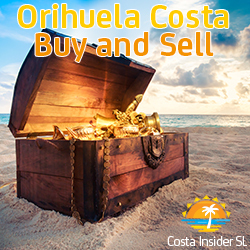 There is also a route to the nearby small town of La Mata and two routes to the neighbouring area of Orihuela Costa. Route in Spanish is (Linea). Most bus drivers will know popular areas or commercial centres close to their bus route. So if you know a popular landmark near where you’re going, mention it to the driver and they will hopefully drop you at the closest stop. The Torreta bus is one of several servicing Torrevieja’s outer-lying residential areas. 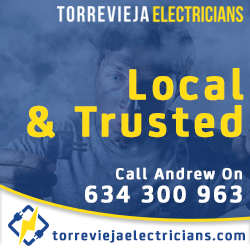 Visitors to Torrevieja that don’t have a vehicle during their stay, often miss out on some of the attractions found outside the city limits.